Social Security Disability insurance, also known as workers’ disability, is an insurance program run by the U.S. federal government which provides monthly benefits to disabled citizens. The insurance program is funded by the federal tax collected from payrolls and intends to help those who cannot work due to their disability. There are certain requirements and criteria which one needs to meet in order to be eligible for these monthly payments. A layman might find the requirements quite complex and difficult to understand so it is best to consult social security disability lawyers for assistance. What is the purpose of the insurance program? The Social Security and Disability Insurance program is designed to help those who have been disabled before their age of retirement. Becoming disabled is not what someone prepares for or anticipates for their future. It can happen to anyone regardless of their age, gender or job description. Let’s say someone becomes disabled at the age of 30, they have not had enough time to work in order to save for the rest of their life. Therefore, in order to support such individuals, the federal government initiated this program. Since its inception in 1935, the laws governing the program have been amended in later years to include benefits for family members of a disabled person as well. How is eligibility for the Social Security Disability Insurance (SSDI) program determined? The eligibility for the program is determined using a wide range of criteria such as the age at which the person became disabled and the number of years they have worked prior to their disability. For people already on a benefits program, there are certain conditions to determine whether they can receive disability or social security insurance as well. The application process is quite extensive but with the help of an experienced social security disability lawyer, you can apply quite easily and successfully. It is important to understand that every case varies from one another. A lawyer might be able to guide you but only after knowing the exact details of your current situation. It is recommended that you consult a lawyer before applying to the program so that your application is not rejected on any grounds that you were unaware of. 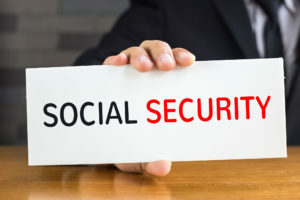 If you wish to seek further information about this subject or discuss your SSDI or SSI application with an experienced social security disability lawyer, contact the offices of Harold W. Conick & Associates at (800) 608-8881 to schedule a free consultation.